This post brought to you by Excelsior Wines. The content and opinions expressed below are that of Mom Fabulous. Does the idea of making summer cocktails intimidate you a little? It’s definitely something I wasn’t comfortable with until I recently found out that it’s not as hard as I thought. With a few of the right ingredients, you most likely already have available, you can whip up drinks for your guests that look pretty and taste amazing! I absolutely love strawberries and lemon together. Whether it’s in a dessert or a cocktail like the one above, they both compliment each other so well. I pretty much always have them in my refrigerator, which makes a spontaneous cocktail hour easy peasy. Not to mention that Frontera wines are available at your local grocery store. I’m all about ease and convenience when it comes to both cooking and cocktailing. (Is that a word? It is now.) I do not like to drive all over town looking for ingredients. 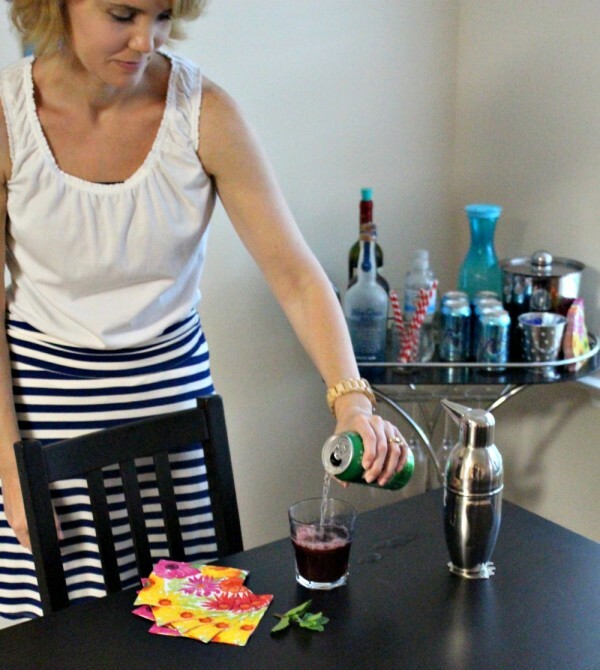 I made the above cocktail using a Frontera Cocktail Recipes from their website. 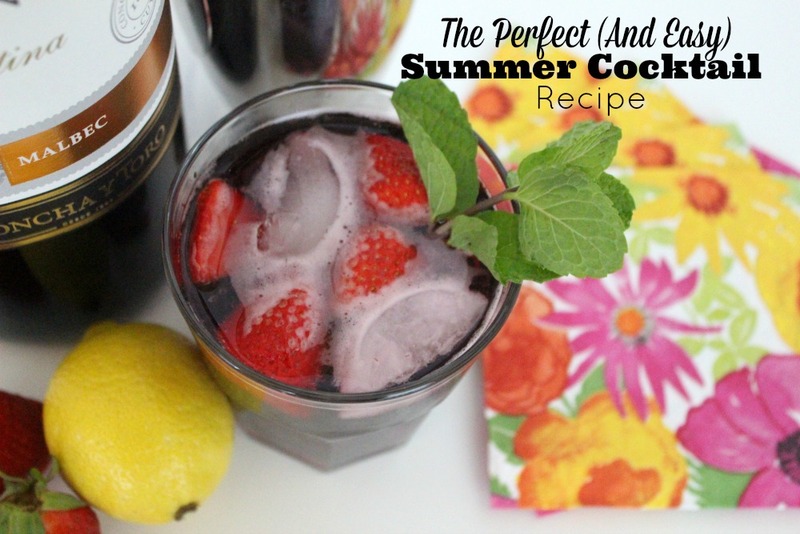 It’s the Carmenere Strawberry Swim cocktail. 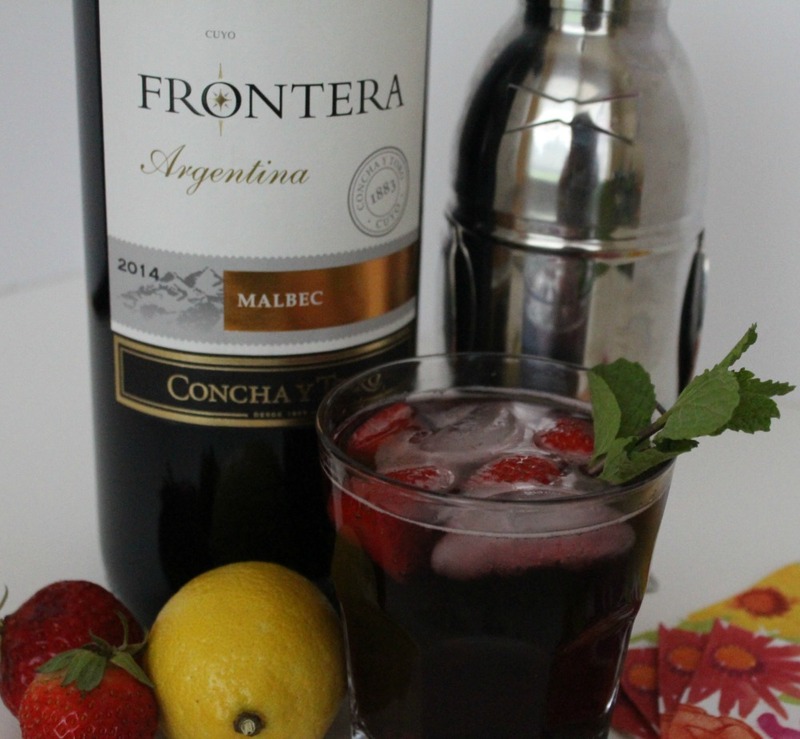 Instead of Carmenere, I used Frontera Malbec and oh my goodness – it was delicious! Watch the video clip below to see just how easy it is to make this. See? You can do this! If I can, you can. 🙂 I sliced up strawberries and put them in my penguin Shaker (isn’t he cute? ), along with a squeeze of lemon, ice and Frontera Malbec. Give it a shake. Pour it into a glass, straining it through the shaker. 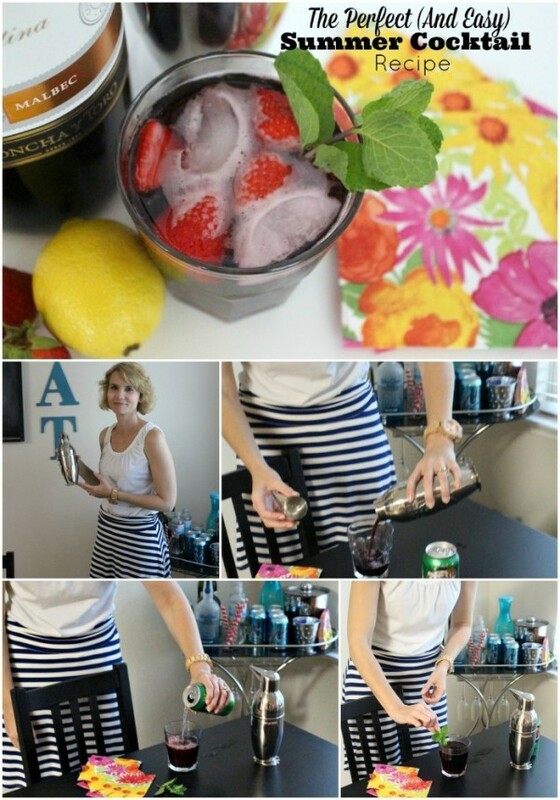 Top off your glass with Ginger Ale and more sliced strawberries. 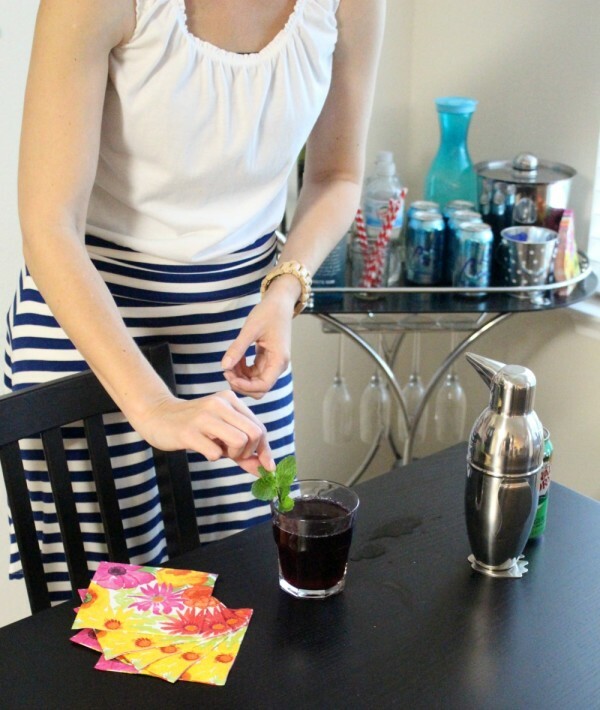 Add a sprig of mint for color and presentation. And voila! You have one tasty and pretty cocktail. It only took 5 ingredients and a few minutes. I could totally take on Tom Cruise in his movie Cocktail. (Or not.) I am not a beer drinker and although my husband loves the stuff, he can’t drink it very often because of the wheat. 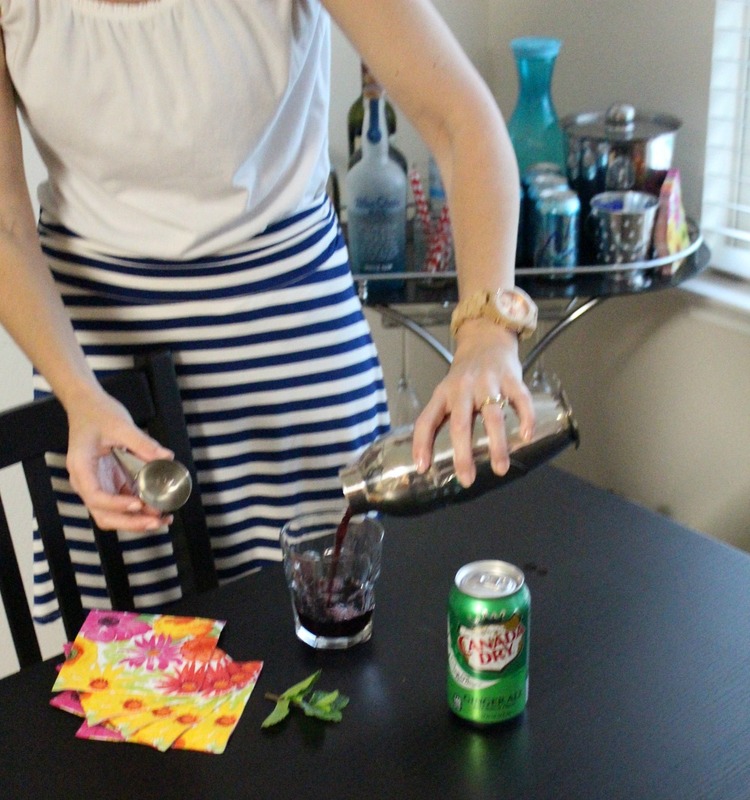 Wine is a great choice to have on hand when entertaining. You can serve a Frontera Chardonnay chilled for those hot days, or a red like their Malbec or Cabernet. Because they’re an affordable wine, as you can see below…I stocked up. The man behind me at the grocery store assumed I was having a party. 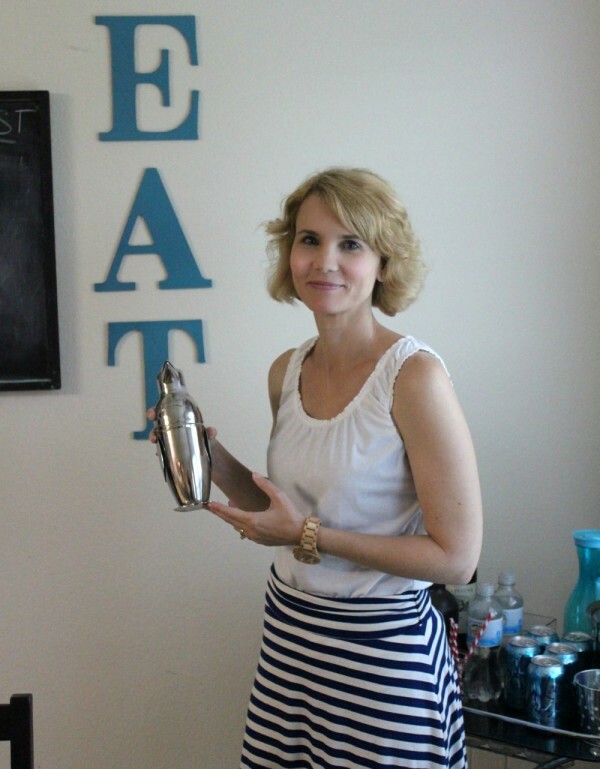 “Either you’re having a really great party or a really great time alone.” 😀 Are you ready to whip up some cocktails and show off your inner Martha Stewart or Tom Cruise? Either one. 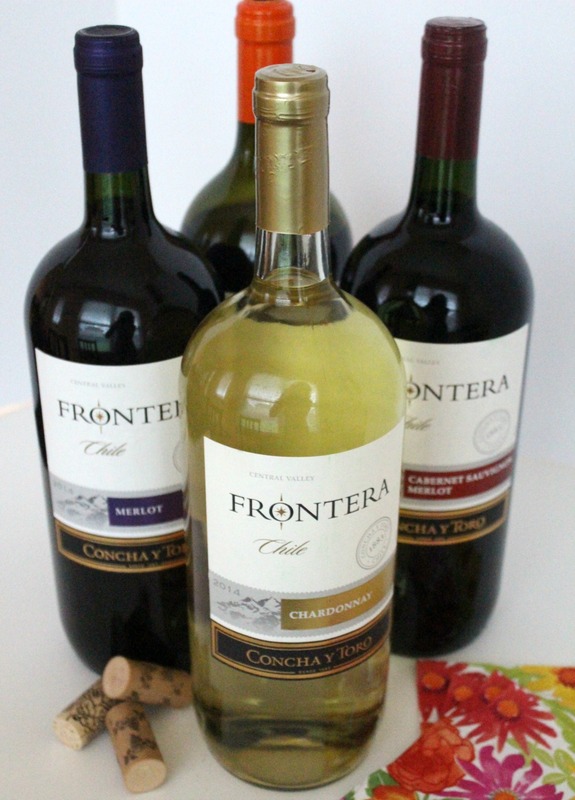 Shop the wine section at your local grocery store and pick up a bottle of Frontera (or four). 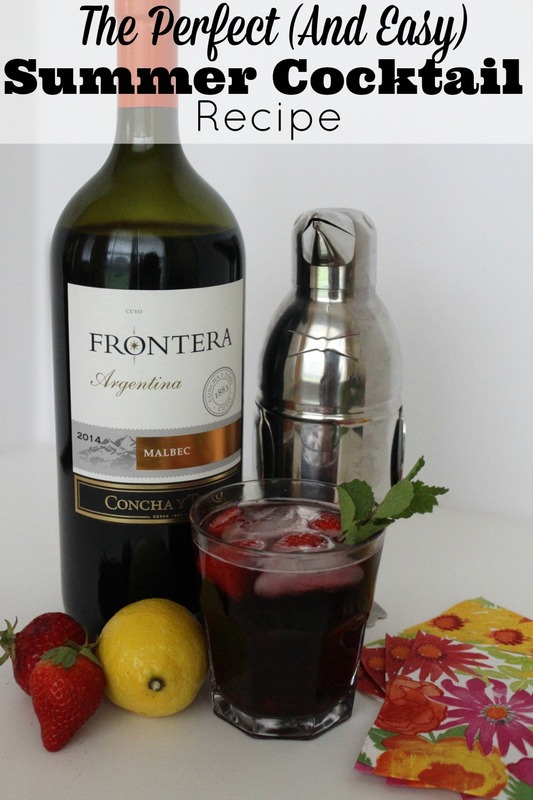 For more easy cocktail recipes, visit the Frontera website or their YouTube channel. I also purchased ingredients for the Chardonnay Al Fresco and can’t wait to try it! Previous articleMemorial Day Sales – Fashion Edition!